I’m into tricky spaces at the moment – and love seeing how they can be transformed. 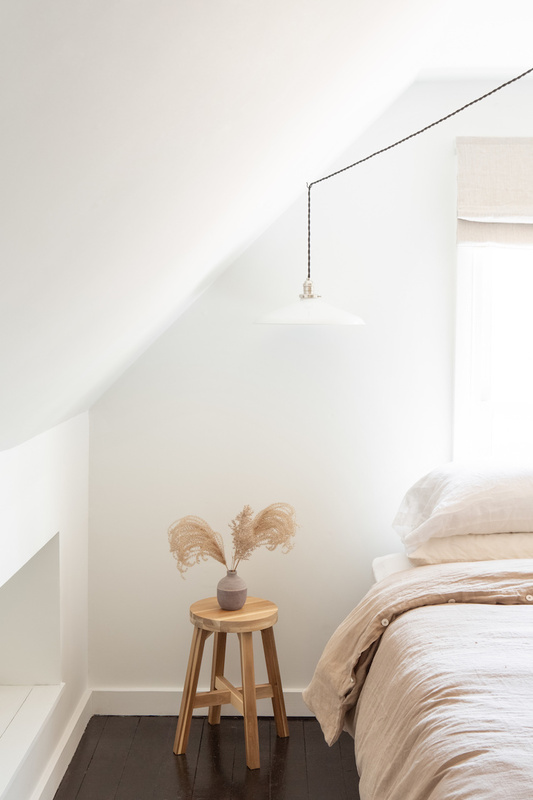 Today’s make-over sees a cramped attic space in an 1800s farmhouse in the Catskills transformed into a lovely, bright and airy guest bedroom. The house is owned by florist turned writer Lisa Przystup and husband Jonathan Linaberry and used as a weekend retreat; a perfect respite from a more hectic life in Brooklyn, New York. The tools? A lick of paint, a selection of charming furniture and some delightful accessories. In other words – completely cosmetic and not costing the earth either! 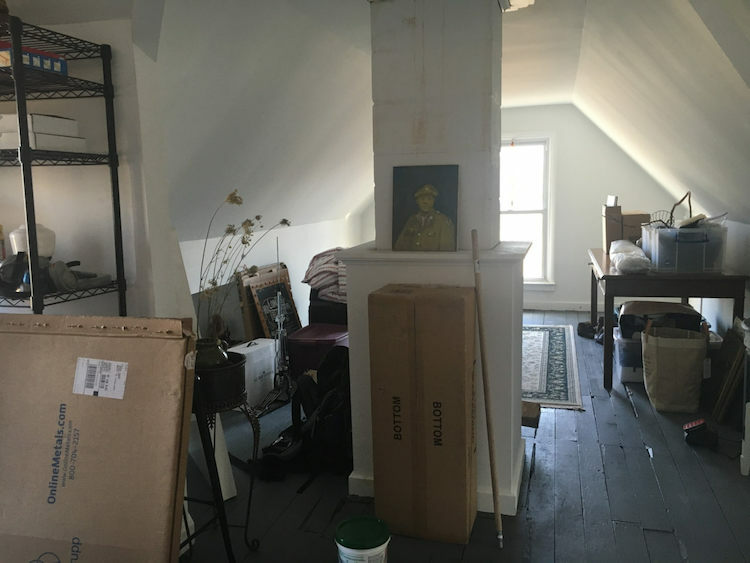 So, if you’ve got a spot in your home that’s currently full of stuff (don’t worry, we all have one!) I think you’ll find this hands on DIY make-over truly inspiring! 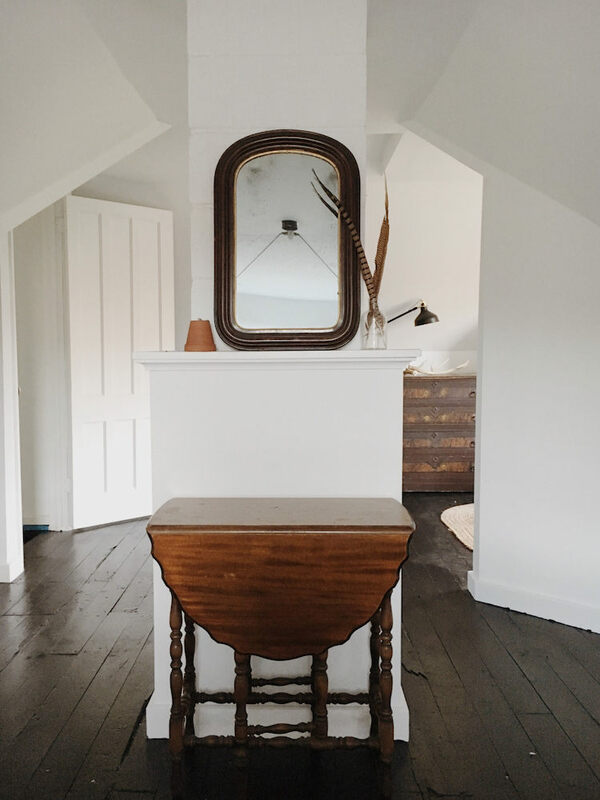 The attic was already in quite good condition when the couple acquired the house and just needed simple updates like clearing out the clobber, a fresh coat paint on the floor and walls and some pretty pieces! 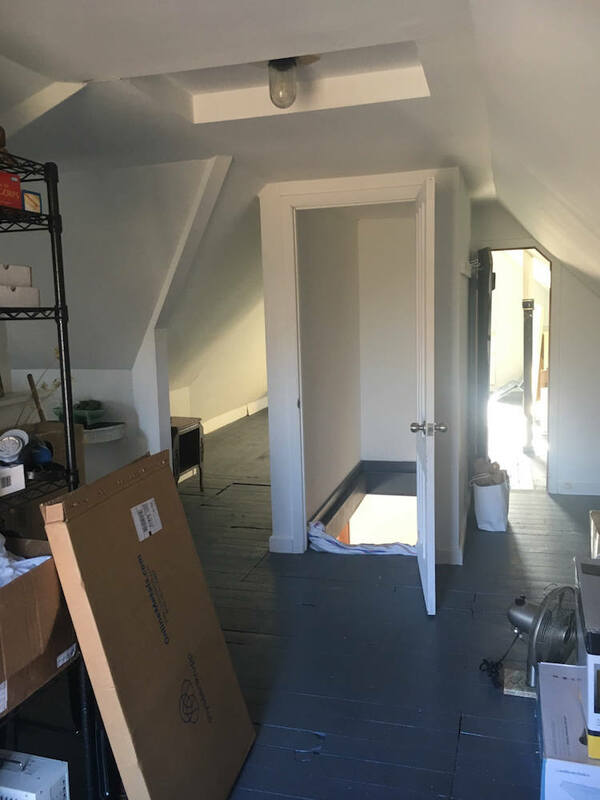 Honestly – this is nowhere near the amount of stuff we currently have in our attic – in fact, my husband and I would be congratulating ourselves if our storage looked like this! But still, it’s not quite guest bedroom ready! The pair wanted to keep the backdrop monochromatic to fit the look and feel of the rest of the home. They painted the floors in Tricorn Black and the walls in Extra White by Sherwin-Williams. 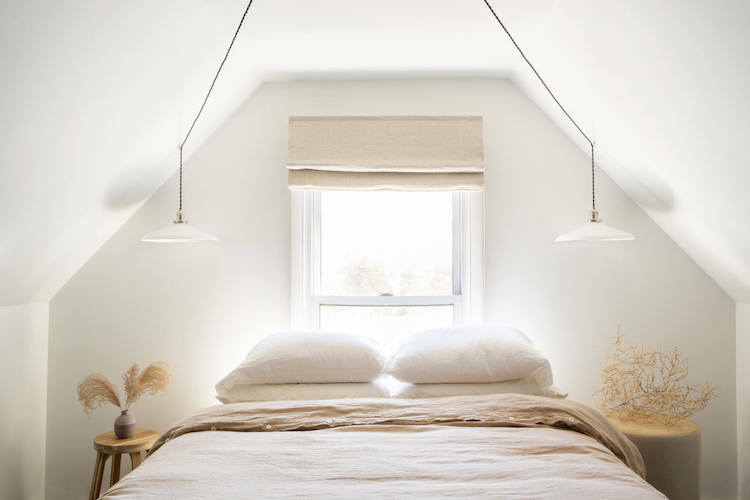 A simple belgian linen blind in oatmeal with a black-out lining adds softness to the space while keeping the sunlight out and a pair of pendant lights have been hung from a single power outlet on the ceiling and hooked to either side of the bed to serve as reading lights (I love this idea – Holly Marder did something similar in this bedroom she designed). Magic Linen is a great source for linen bedding* like this! Every guest room needs a little mirror and side table and these fit perfectly against the central pillar. Feathers and other items found in the Catskills serve as a wonderful reminder of the fantastic nature on their doorstep (I was lucky enough to visit the Catskills for my book The Scandinavian Home and I’ve been wanting to return ever since, it’s a magical place!). The room is entered via this beautiful reclaimed door which was already in place when they bought the house. They deliberately left it as it was in order to make it a feature. 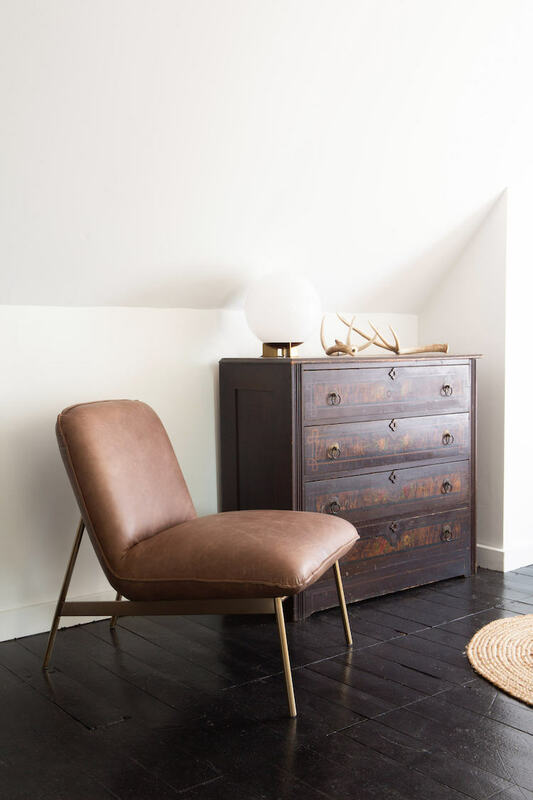 The folding chairs belonged to one of their grandfathers and serve as extra seating when guests come to stay (source similar vintage ones here*). Wow! So simple, yet so lovely! 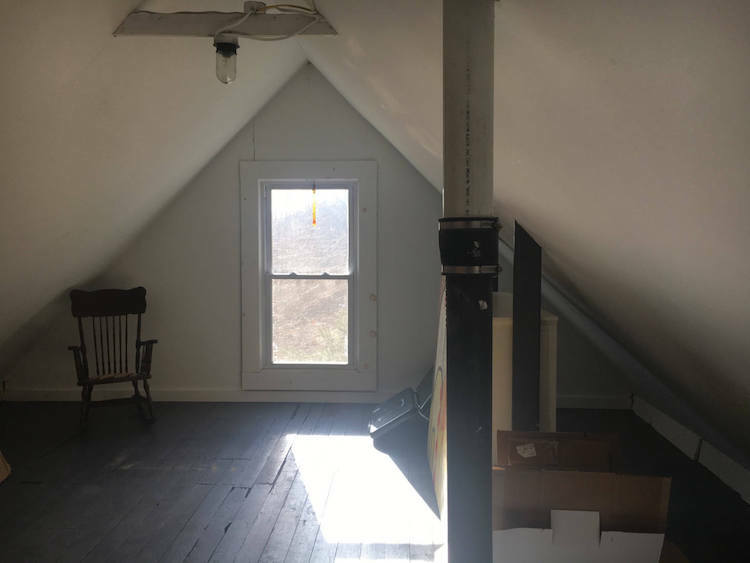 I’m already wondering if we should finally do something with our attic space – or even somewhere else in the home. Are you feeling inspired too?! 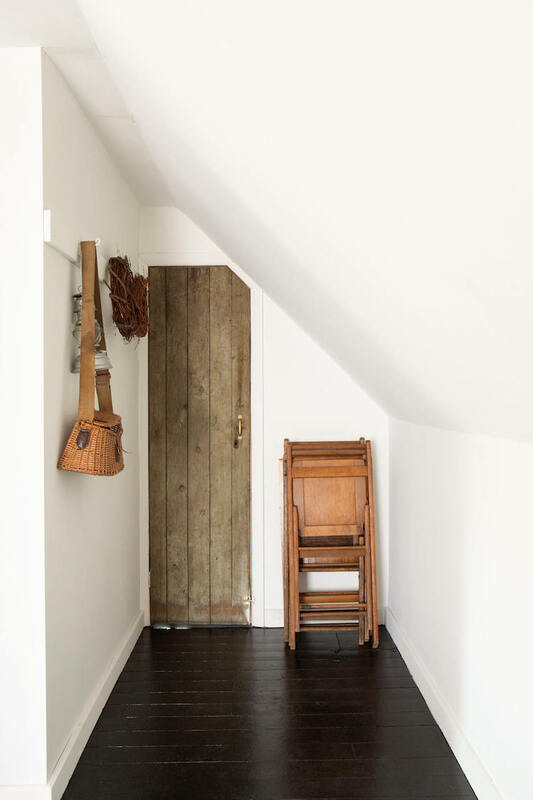 I first spotted this wonderful make-over on Remodelista (read more about the room and see more pictures here). Here’s to an inspiring week!